While Baltimore City holds the dubious honor of being the heroin capital of the state, it is not the only city in Maryland struggling with this highly addictive and increasingly popular drug. The Blog posted and article more than a year ago about the dramatic increase in heroin use in suburbs, and the trend has continued in 2014. Anne Arundel County is one area that has been hit especially hard so far this year. County Police have reported 172 heroin overdoses since January 1st, with 22 of these being fatal. 28 of these overdoses occurred within the city limits of Annapolis, with 5 being reported on one day in April. City and county police are aware of the problem, and have taken affirmative steps to wage war on the drug. County police officers now carry the anti-overdose drug, Narcan, in order to prevent heroin overdoses from becoming fatal, and Annapolis officers will soon follow suit. But law enforcement’s broader goal is not simply to prevent deadly heroin overdoses; it is to eradicate the drug entirely. The Anne Arundel County and Annapolis police departments have recently made it a priority to seek out and arrest local heroin dealers, and their work has apparently been rewarded. 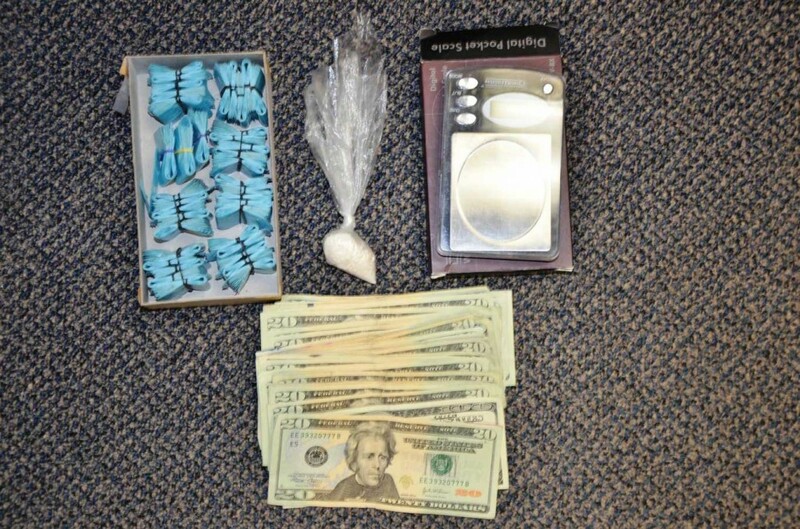 According to a press release, law enforcement officers from these two departments with help from the Calvert County Sheriff and the State Police have arrested five suspected heroin dealers. These suspected dealers, along with four others, have been under investigation for quite some time. The nine total suspects are alleged to be responsible for a large amount of the heroin supply in Anne Arundel as well as Calvert counties. The five that have already been taken into custody face numerous charges including narcotics distribution and possession with intent to deliver. Narcotics distribution for a first time offender is a felony that carries up to 20 years in prison. Second time offenders also face a minimum mandatory sentence of 10 years. But its not just various different criminal charges that each of the defendants will have to deal with in court, as most have been charged with multiple counts of these drug charges. In almost every large-scale drug trafficking investigation, it is a common tactic for police to conduct multiple undercover drug transactions with the same suspect before an arrest is made. Police are introduced to new evidence and new suspects as they continue to do undercover transactions. But law enforcement and the State’s Attorney’s Office also gain a powerful gain a powerful negotiating chip by being able to prosecute the defendant for numerous different criminal counts. First of all, the state has a margin of error in that it would not have to prove each drug transaction beyond a reasonable doubt. All the state would need to do is prove one, and some of these alleged heroin dealers are facing over 25 counts. Additionally charging a defendant with multiple counts can take away the opportunity for the defense to bypass the state and go straight to the judge for a plea deal. Whereas a good defense oriented judge could give a non-jail sentence for one or two counts of narcotics distribution, this becomes less likely when there are several. The Blog will continue to follow this particular bust, and others like it, and will post another article in the future. Benjamin Herbst is a Maryland drug distribution lawyer, who handles all types of criminal charges. Contact Benjamin for a free consultation at 410-207-2598. Annapolis Heroin Dealers Indicted, www.facebook.com/AnnapolisPolice.